80% Heavy Thermal ALPACA Sock: Grey. 80% Heavy Thermal ALPACA Sock: Black Denim. 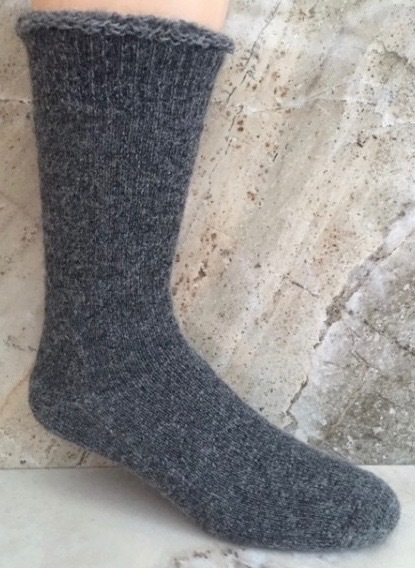 Luxurious Alpaca Socks: Comfortable, Cozy Warm, Breathable, and Versatile! A heavy-weight alpaca sock for warm and cozy winter wear, the substantial HEAVY THERMAL SOCK is 80% Alpaca blended with 17% Nylon for excellent durability and 3% Spandex for elasticity. The interior construction is terry-looped for loft and warmth. With a non-restrictive rib at the top, the HEAVY THERMAL SOCK is also ideal comfort for all calf sizes. Alpaca luxury for your feet at an affordable price! 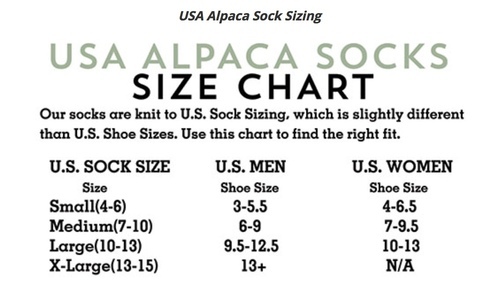 Wear the Alpaca HEAVY THERMAL sock in combination with LaCroix Alpacas Insoles [either FeltPac insoles or HeartFelt Alpaca Creations insoles] for even greater comfort and to slow the aging process in your feet. 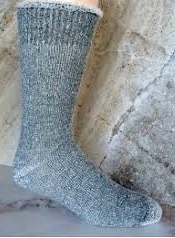 ADULTS: Alpaca QUARTER THERMAL socks. [weight-heavy] The "short" version of the Heavy Thermal sock. Ideal for short hiking boots, slippers, etcetera.